Welcome to Fish Window Cleaning! We are your local interior and exterior window cleaning and gutter cleaning company serving Littleton, Highlands Ranch, Englewood, West Centennial, and Lone Tree, CO.
We know you have dirty windows and clogged gutters, or you wouldn’t be here. Whether preparing for the holidays, in the midst of spring cleaning, or enhancing the look of your business, let us take these tedious tasks and make them worry free. From sunrooms, to showrooms, and skylights to storefronts, we do it all. We know you're busy and it's hard to always keep your home looking beautiful. Let us help by keeping your windows sparkling clean, pressure washing your sidewalks and patio areas, cleaning out your gutters, making your chandeliers shine and much more! We understand that you can't just let anyone in your home and that's why our team has been background-checked and we are licensed, bonded, and insured! We even respect your home while we clean by using shoe covers and absorbent cloth pads to protect your floors. We use environmentally friendly cleaning products so you and your family are not subjected to harsh fumes. When you choose Fish Window Cleaning, you know we are committed to your satisfaction! "Working with Fish [Window Cleaning] has been a great pleasure, which is attributed to their consistent reliability and great communication." We maintain the appearance of storefronts, restaurants, offices, and all other types of commercial buildings so that you can always give your customers a great first impression. We can remove all smudges and fingerprints from your windows and glass doors, make your chandeliers sparkle, clean your ceiling fans, pressure wash your sidewalks and parking lots and much more. 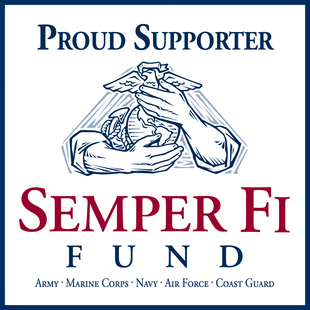 We customize all of our programs to meet your specific needs. We're always happy to brighten your world and no job is too big or too small for us. Our professional team is licensed, bonded, and insured for added peace of mind and because we are committed to customer satisfaction. 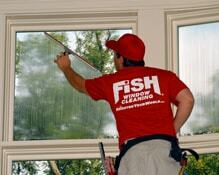 "Fish Window Cleaning is professional, friendly, courteous, and does an excellent job on cleaning our windows." Fish Window Cleaning pledges to provide superior service to each of our customers. We are committed to customer satisfaction. If it is not right, we'll make it right. If your world isn't bright, neither is ours.